Information management is getting harder. 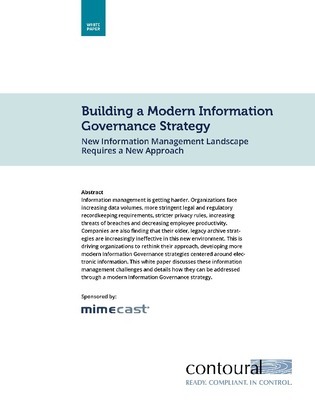 With increasing data volumes, stringent legal and regulatory requirements, and an increased threat of breaches, organizations are having to rethink their information governance strategies to meet the challenges of a shifting information management landscape. Don’t let your legacy archiving strategies hold you back.